For the island, see Curaçao. 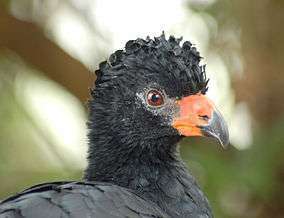 In line with the other 3 main lineages of cracids (chachalacas, true guans, and the horned guan), mt and nDNA sequence data indicates that the curassows diverged from their closest living relatives (probably the guans) at some time during the Oligocene, or c.35–20 mya (Pereira et al. 2002). This data must be considered preliminary until corroborated by material (e.g. fossil) evidence however.